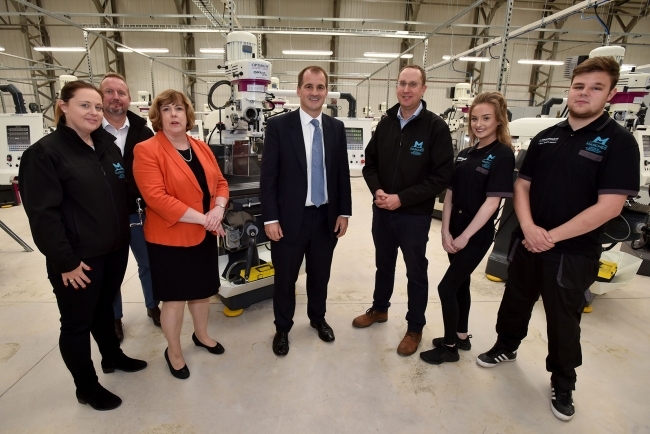 Jake Berry MP visited the £4m Marches Centre of Manufacturing & Technology (MCMT) this week to view how an employer-led solution to bridging the skills gap is promising to boost competitiveness within the region’s advanced manufacturing sector. MCMT, which has received £1.9m of Government Growth Deal funding via the Marches LEP and financial support from the European Regional Development Fund and Shropshire Council, is promising to deliver ‘2020 learners by 2020’ through a combination of Apprenticeships and specialist training to upskill existing staff. 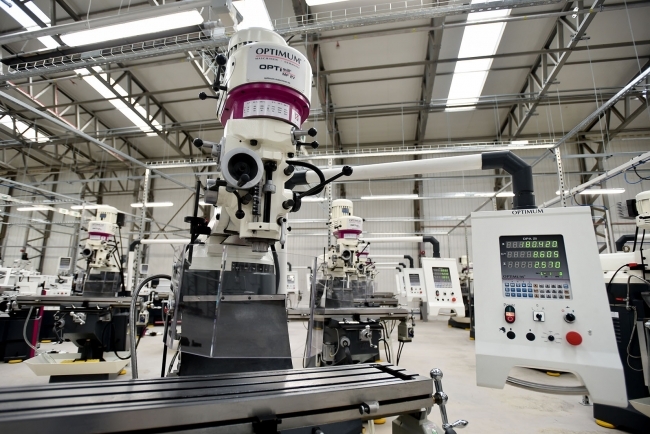 The 36,000 sq ft hub – located on the Stanmore Industrial Estate in Bridgnorth – will provide a high-tech environment for individuals to learn from engineering experts on the latest technology, all geared towards making them more industry-ready when they leave. Jake Berry, Minister for Local Growth and the Northern Powerhouse, said: “I was delighted to be one of the first to visit the Marches Centre of Manufacturing & Technology today to see this remarkable training facility. Matthew Snelson, Managing Director of the Marches Centre of Manufacturing and Technology, continued: “We are doing something completely different here to address a real challenge for our local businesses and the regional economy. Graham Wynn, Chairman of the Marches LEP, said: “Our manufacturing businesses are often major employers with substantial supply chains. It is important for the vitality of the Marches economy that the manufacturing and engineering sector is able to thrive and that can only happen if our workforce is equipped with the right skills to meet employer demand. Matthew Snelson added: “The response from local employers has been great so far, with 12 companies already part of our first recruitment drive and a further 30 in the pipeline for future cohorts. The MCMT has already received significant support from industry partners, who are donating equipment or providing their expertise to learners and companies accessing the centre. These include ABB Robotics, Engineering Technology Group, FBC Manby Bowdler, Filtermist, Hexagon Metrology, Mechatronics and Zwick Roell.